Cary Ginell spent a half-hour with Dave Drexler on “Inside Art” on KSDS in San Diego talking about The Evolution of Mann. Cary never lets us down with his great interviews. Give it a listen! 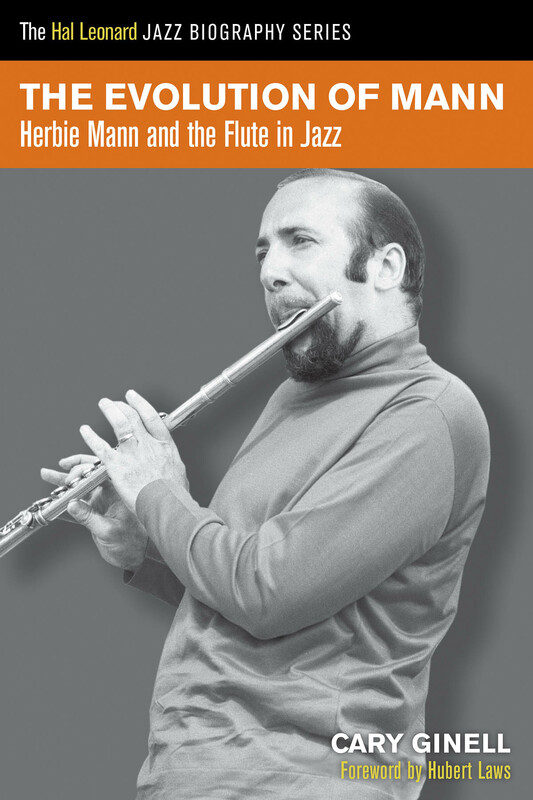 More than any other musician, Herbie Mann was responsible for establishing the flute as an accepted jazz instrument. Prior to his arrival, the flute was a secondary instrument for saxophonists, but Mann found a unique voice for the flute, presenting it in different musical contexts, beginning with Afro-Cuban, and then continuing with music from Brazil, the Middle East, the Caribbean, Japan, and Eastern Europe. As Mann once said, “People would say to me, ‘I don’t know where you are right now,’ and I would respond, ‘And you’re not going to know where I’m going to be tomorrow.’” A self-described restless spirit, Herbie Mann also was a master at marketing himself. His insatiable curiosity about the world led him to experiment with different kinds of sounds, becoming a virtual Pied Piper of jazz. He attracted thousands to his concerts while alienating purists and critics alike. His career lasted for five decades, from his beginnings in a tiny Brooklyn nightclub to appearances on international stages. “I want to be as synonymous with the flute as Benny Goodman is for the clarinet,” he was fond of saying. By the time he died of prostate cancer in 2003, he had fulfilled his desire. Today would have been the legendary Billy Eckstine’s 100th birthday! 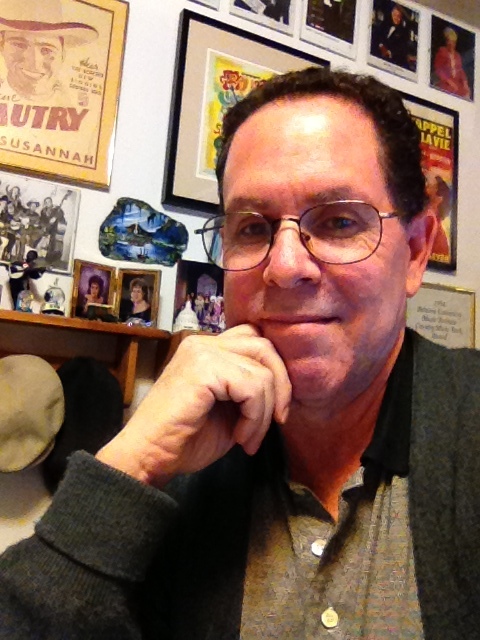 Yesterday, Tom Vitale of All Things Considered did a great segment on the talented and suave musician in which Cary Ginell, author of Mr. B: The Music and Life of Billy Eckstine, is featured. Please enjoy the slideshow below! Cary Ginell, author of Mr. B: The Music and Life of Billy Eckstine and Walk Tall, recently met up with the folks at Inquiry (again) to discuss his The Evolution of Mann! 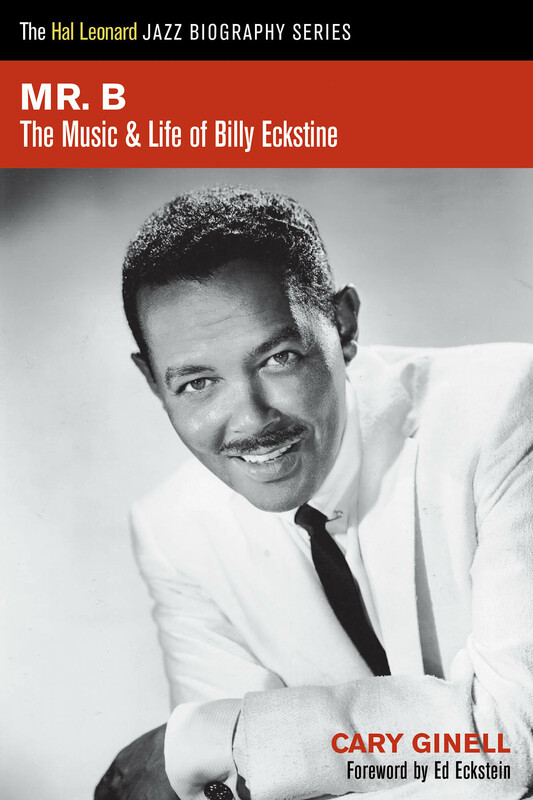 Cary Ginell, author of The Evolution of Mann and Walk Tall, recently met up with the folks at Inquiry to discuss his latest, Mr. B: The Music and Life of Billy Eckstine! This sums up the life of Julian “Cannonball” Adderley, a man who used a gargantuan technique on the alto saxophone, pride in heritage, devotion to educating youngsters, and insatiable musical curiosity to bridge gaps between jazz and popular music in the 1960s and ’70s. His career began in 1955 with a Cinderella-like cameo in a New York nightclub, resulting in the jazz world’s looking to him as “the New Bird,” the successor to the late Charlie Parker. But Adderley refused to be typecast. His work with Miles Davis on the landmark Kind of Blue album helped further his reputation as a unique stylist, but Adderley’s greatest fame came with his own quintet’s breakthrough engagement at San Francisco’s Jazz Workshop in 1959, which launched the popularization of soul jazz in the 1960s. With his loyal brother Nat by his side, along with stellar sidemen, such as keyboardist Joe Zawinul, Adderley used an engaging, erudite personality as only Duke Ellington had done before him. All this and more are captured in this engaging read by author Cary Ginell. The Jazzoo Concert Series in Palm Desert, Calif., is celebrating the 100th anniversary of the birth of Billy Eckstine with a concert on Jan. 26 that will feature Billy’s daughter Gina Eckstine. Cary Ginell, author of Mr. B: The Music and Life of Billy Eckstine, will be on hand along with his book. For more information, click here. 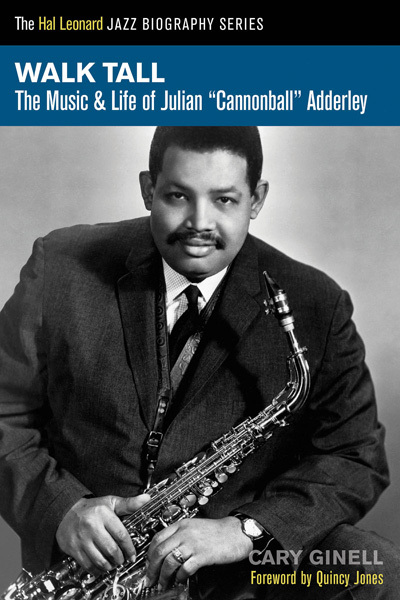 Guest Blogger: Cary Ginell, author of Walk Tall: The Music and Life of Julian “Cannonball” Adderley, sketches a brief overview of Cannonball’s life for his birthday. Also for your reading pleasure: an excerpt from Walk Tall. “Walk Tall” is the first in the new Jazz Biography series published by Hal Leonard Books, which is designed to present biographies of jazz pioneers whose careers have not yet been fully documented. “Walk Tall” concerns saxophonist Julian “Cannonball” Adderley, who changed not only the face of jazz in the 1950s and ’60s, but how musicians related to audiences. Beginning as a bebop alto man in the mold of the late Charlie “Bird” Parker, Adderley spent the early part of his career trying to establish his own sound by leading his own quintet, which included his talented brother Nat on cornet. In 1957 Adderley joined the Miles Davis Sextet, recording the landmark “Kind of Blue” session with John Coltrane the following year. Reorganizing his quintet in 1959, Adderley recorded a live album at the Jazz Workshop in San Francisco that stimulated the soul jazz era in the 1960s. Adderley infused his performances with a mixture of driving hard bop and a gospel feel, influenced by his love for church music. His hit “African Waltz” was the first of many jazz instrumentals to crack Billboard’s best-selling singles list during the 1960s. Adderley’s most important contribution to jazz was as an educator. A former high school music teacher, Adderley gave brief, often humorous impromptu introductions to his songs during concerts, but more importantly, conducted clinics at schools and colleges on the history of jazz. His work in the civil rights movement also showed pride for his heritage. During the final years of his career, he explored other forms of jazz, including fusion, African high life, and Brazilian samba. The second day would feature discussions of the sociocultural significance of black music and its effect on current popular musical trends. Qualified music students were able to participate in individual clinics conducted by the members of the Quintet. In 1969 the program was presented at a variety of schools, including Savannah State College in Georgia, Florida A&M University (Cannonball’s alma mater), Lanay College in Oakland, California, and West Virginia University. Nat Adderley, who studied brass instruments at Florida A&M, covered the sociological aspects of black music, while Cannonball coordinated the entire series, handing out a bibliography of resources to study, a recommended list of recordings, and other instructional materials. In his inimitably breezy fashion, Cannonball crowed, “By the first of the year, we’ll have a syllabus in print and then we ought to be really swinging.” This remarkable educational series continued until the end of Cannonball’s life. Cannonball Adderley introduces his 1967 recording of “Walk Tall,” by saying, “There are times when things don’t lay the way they’re supposed to lay. But regardless, you’re supposed to hold your head up high and walk tall.” This sums up the life of Julian “Cannonball” Adderley, a man who used a gargantuan technique on the alto saxophone, pride in heritage, devotion to educating youngsters, and insatiable musical curiosity to bridge gaps between jazz and popular music in the 1960s and ’70s. His career began in 1955 with a Cinderella-like cameo in a New York nightclub, resulting in the jazz world’s looking to him as “the New Bird,” the successor to the late Charlie Parker. But Adderley refused to be typecast. His work with Miles Davis on the landmark Kind of Blue album helped further his reputation as a unique stylist, but Adderley’s greatest fame came with his own quintet’s breakthrough engagement at San Francisco’s Jazz Workshop in 1959, which launched the popularization of soul jazz in the 1960s. With his loyal brother Nat by his side, along with stellar sidemen, such as keyboardist Joe Zawinul, Adderley used an engaging, erudite personality as only Duke Ellington had done before him. All this and more are captured in this engaging read by author Cary Ginell.